Porsche can look back on an extremely successful fiscal year. With 225,121 vehicles delivered to customers world-wide, Porsche achieved a new record in 2015, exceeding the previous record of 189,849 cars in 2014 by 19%. “The figures reflect the pulling power of our brand as well as the appeal of our products which we have launched on the market in the past few years,” says Dr. Oliver Blume, Chairman of the Executive Board of Porsche AG. “Focusing completely on the development, production and sales of highly emotional sports cars is paying off.” Despite this, sales are only a secondary yardstick for success for Porsche. “What is much more important for us are customer enthusiasm, return on sales and secure jobs,” says Blume. The Porsche 911 legend continues unabated. The sports car icon recorded an increase over the previous year of 4% with just under 32,000 units delivered. 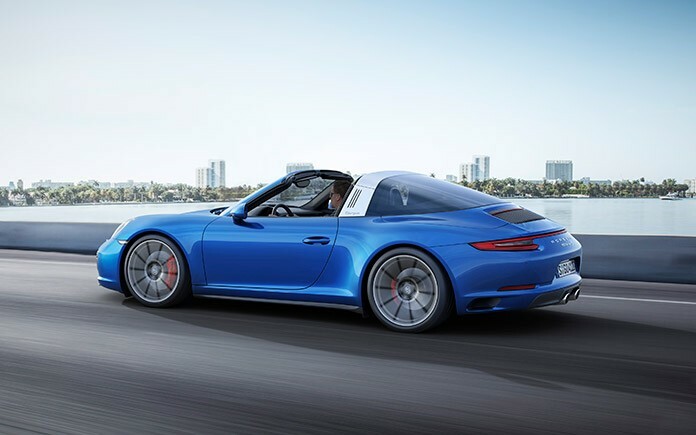 “This growth, even in a year in which the model was changed, shows the immensity of fascination for the 911 on the markets,” says Detlev von Platen, Member of the Executive Board for Sales and Marketing at Porsche AG. The new 911 series, with the 911 Turbo as the flagship model, will be available on the European market at the end of January 2016. It will provide another boost and consolidate delivery figures to a stable level. Clearly, the growth drivers are the SUV models and the best-seller is the latest addition to the family. With more than 80,000 cars delivered, the Macan became the most coveted Porsche already in the first year of full availability. It is closely followed by the Cayenne (73,119 units). Compared with the previous year, the Macan and the Cayenne achieved two-digit growth figures. Porsche Cayman sales rose slightly by 1%. The Panamera and Boxster models lagged behind the previous year levels. The reason for this is the upcoming model change from which Porsche is expecting renewed growth in 2016. In future, the Boxster and Cayman models will be branded as the 718 model series and will continue to merge both technically and optically. For the first time, the strongest single market in 2015 was China where Porsche delivered 58,009 vehicles. Compared with 2014, this was an increase of 24%. In second place came the USA with 51,756 vehicles, a growth of 10%. The European market grew by 24% to 75,354 units where Germany is the strongest single market with a total of 28,953 vehicles delivered (+21%).